Parking at the Raymond Family Community Center is free but limited. We make a special effort to reserve the Raymond Center lot for event attendees. 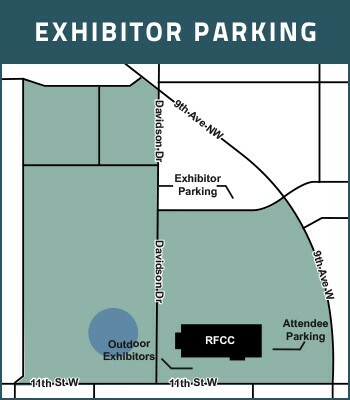 We ask all exhibitors and vendors to park on Davidson Drive and in Aafedt Stadium parking areas. We understand that some exhibitors find this to be inconvenient, but it is important to make it as inviting and easy as possible for attendees to park and access the event. They are the reason you are investing your time and resources in the event and we all want to work together to make it as successful as possible for you. We appreciate your compliance with the matter.